Best wishes to readers during this time of striving in a world where peace is elusive. It’s 32 degrees in Iowa. During a tour of the yard and garden it looked like the kale might recover, but only if there is a warming spell. That’s a lot to ask on the fifth day of winter. We still have fresh in the ice box and a dozen packages in the freezer. Kale is never in short supply in our household. We miss our daughter at Christmas. When she left home, she really left, first for Florida, then Colorado, and back to Florida. I liked Colorado better because we could leave in the morning and arrive in time for supper. Not so with Florida which is a 23-hour drive to where she does work she loves. Since graduating from college she spent one Christmas at home, in 2010. Over the years, her absence changed things. Her job requires her to work on the holidays so we developed new patterns. One by one, old Christmas family traditions peeled off until the holiday became centered around food and phone calls. We continue to have a bowl of chili on Christmas eve and will fix a special Christmas dinner, although the menu isn’t quite planned. We have a lot of turnips and joked serving turnips would be like getting a lump of coal in our stockings. With the right recipe, though, they might make a valued new tradition… or maybe not. Whatever personal traditions we may have had were sanded off in the woodshed of time, so anything goes. There is redemption in the calm quiet of Christmas Eve and Christmas Day. It is a chance to save ourselves from errors made while living in society, to ask forgiveness from those we’ve wronged, to chart a new course through the coming years. There is hope. 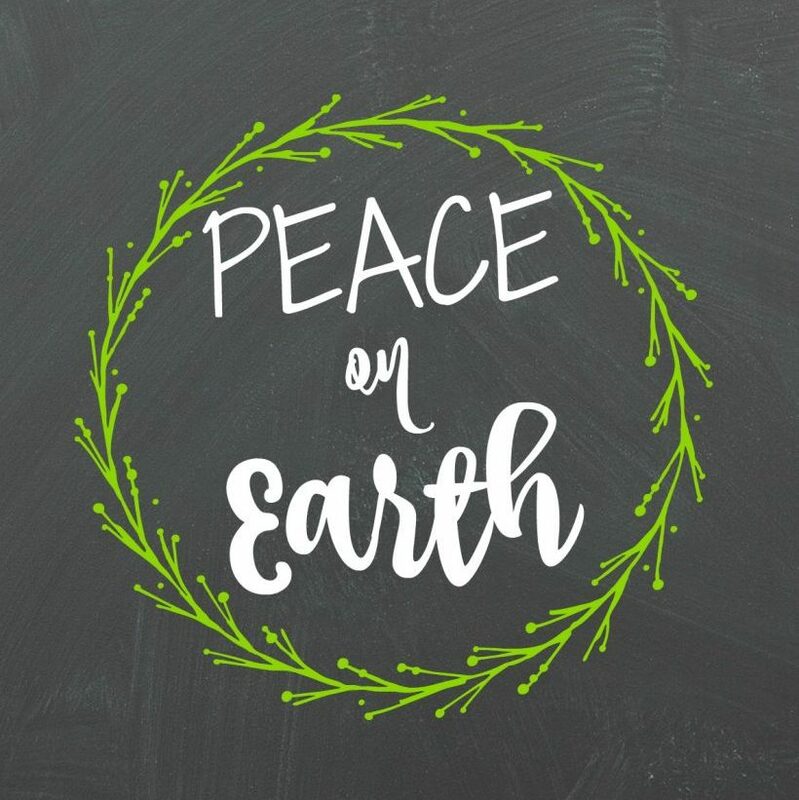 My Christmas wish is for peace on earth. It is elusive, yet hope springs, and we believe it within our reach. I hope it’s within reach. I plan to work toward that end. Best wishes to my readers for a Happy New Year! This entry was posted in Home Life and tagged homelife, sustainability. Bookmark the permalink. There is always hope. Happy 2019, Paul!